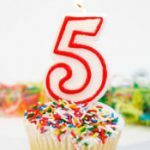 The Trauma Professional’s Blog Is 5 Years Old! I know, it’s hard to believe, but this blog turns 5 years old today! It’s been so much fun to see my readership grow over the past years. I’m so thankful to my thousands of readers all over the world. I’m also grateful for all the questions that I get from trainees and trauma professionals everywhere. It keeps me on my toes and keeps me reading and learning every day. In the coming year, I will continue to try to provide answers to those pesky questions that you really can’t find anywhere else. I’ll also continue to try to digest stuff for you that is in the literature and give you my take on it, as well as whether I think it’s important or just plain bogus. So THANK YOU very much, and have a fantastic new year. Keep those questions coming so I’ve got plenty to write about in the coming year.